Buy Liqua eJuice - Mints 30ml in Melbourne, Australia. Free Delivery* and Discount. 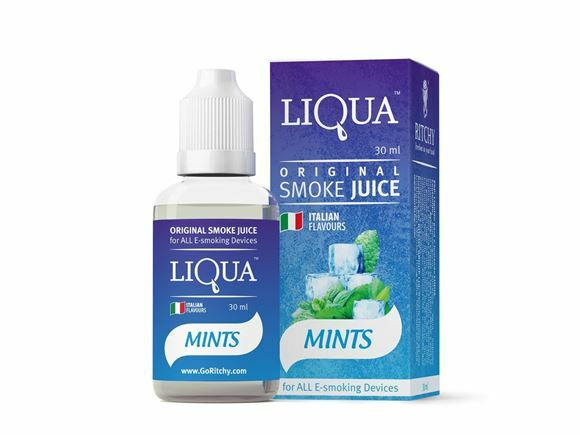 So what is Liqua eJuice - Mints 30ml? Mint is regularly contrasted with Menthol for all the right reasons – it is bit milder offering a new taste with a somewhat sweeter and natural tone that leaves a cool and consistent breeze in your mouth. E-Juice Mint gentler than Menthol and offers crisp and strong taste with marginally sweetish and natural tones that leave a charming breeze. LIQUA’s full range of tastes are designed carefully by those who really know what theyshould be – the most professional flavorists from Italy. That means LIQUA’s Tobacco taste is truly right - as fresh as natural leaf Tobacco. LIQUA Mints flavor is as juicy as a real green Mints, and LIQUA Mints – tastes as good as what you’ve got in your morning cup.